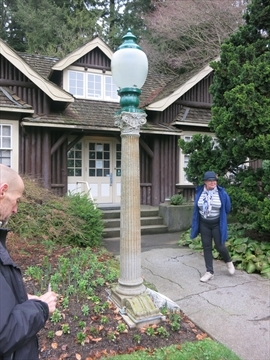 There is a historical street lamp from the original Georgia Street viaduct in Stanley Park Most people to the park don't even know that it is there. It is very beautiful and worth a look! 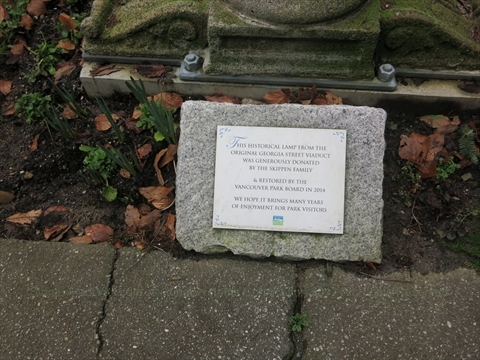 This historical lamp from the original Georgia Street viaduct was generously donated by the Skippen family and restored by the Vancouver Park Board in 2014. Where is the Georgia Viaduct Lamp in Stanley Park? The Georgia Viaduct Lamp is located right in front of the Rose Cottage. This is next to the Shakespeare Garden and Rose Garden just off of Pipeline Road in the middle of Stanley Park.